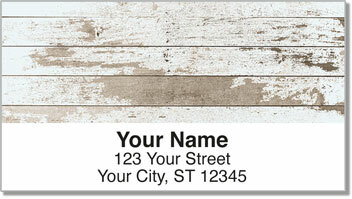 Give your mail some country character with this rustic set of return address labels. It features four different textures of wood showing the effects of passing time. The paint is peeling, the lumber is turning grey and there are dents, nicks and scratches everywhere you look. Yet these worn out planks prove how things can become more beautiful with age. 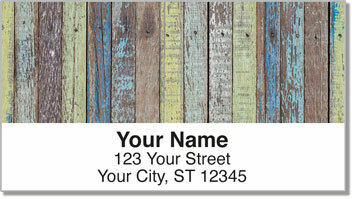 Distressed Wood Address Labels from CheckAdvantage are a unique way to conveniently prepare letters and packages for the post office. A self-adhesive backing makes it simple. 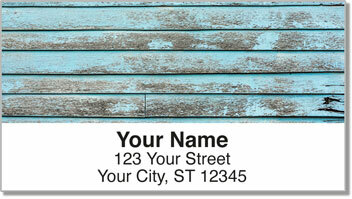 No more writing your name and address by hand - just peel and stick. 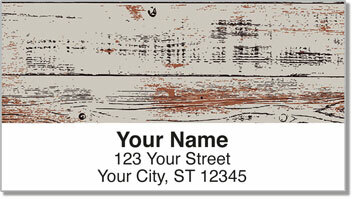 Order your very own Distressed Wood Address Labels now! This design can also be found in a set of matching personal checks.